Item # 299408 Stash Points: 11,999 (?) This is the number of points you get in The Zumiez Stash for purchasing this item. Stash points are redeemable for exclusive rewards only available to Zumiez Stash members. To redeem your points check out the rewards catalog on thestash.zumiez.com. 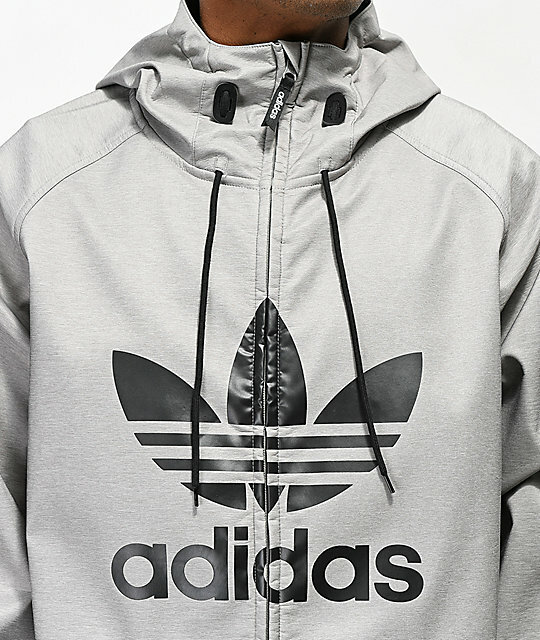 The adidas Greely Grey Softshell Jacket is the perfect layering piece or Spring day outer layer. 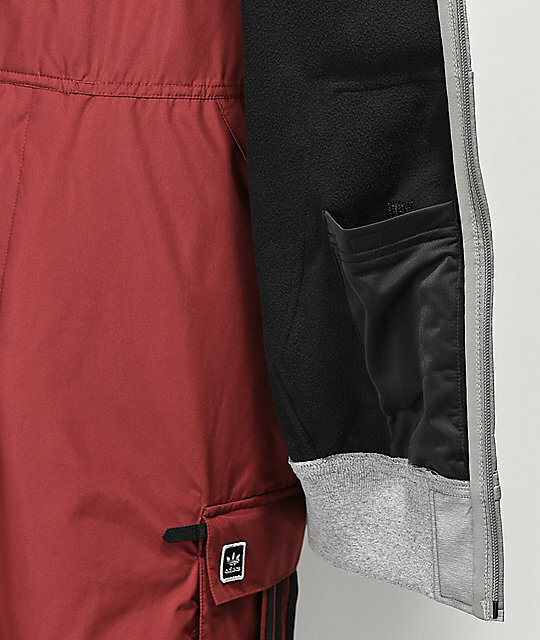 Light weight and with the overall feel of a standard hoodie, this zip-up offers light DWR coating to help keep you dry when you slam in the slush on a sunny Spring riding day. Mid-weight construction and a fleece interior lining make this hoodie great for keeping you warm and cozy as an under layer on powder days. 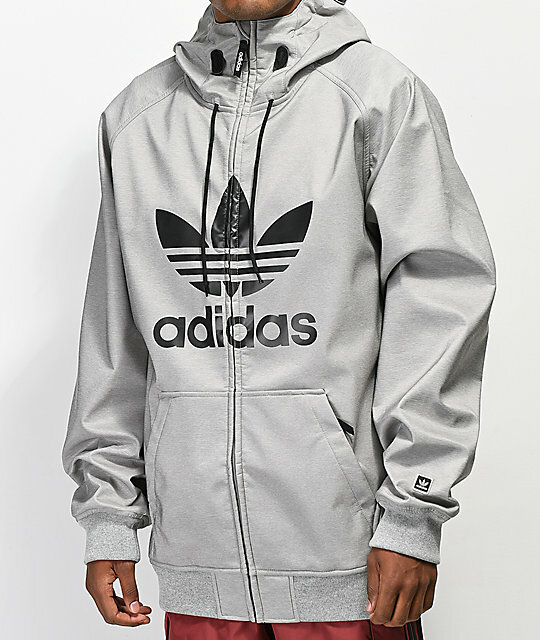 Get a great all season sweatshirt, grab the adidas Greely Grey Softshell Jacket. 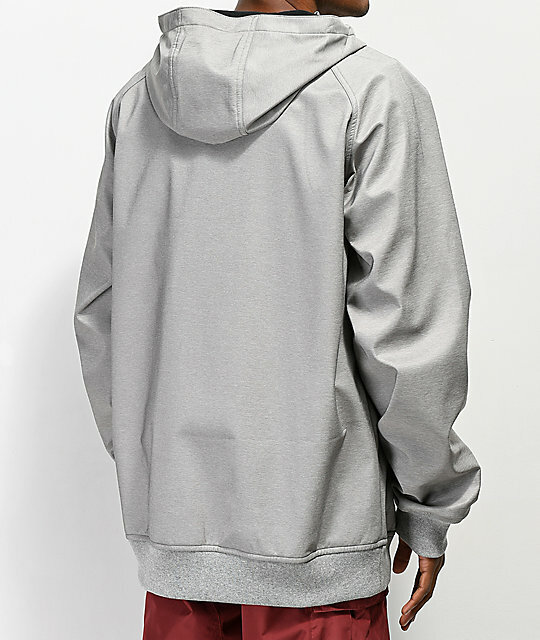 Greely Grey Softshell Jacket from adidas. To front hand pockets with zip up closure.